The Internet, as boundless as it seems, has at least one significant limit: Its inventory of addresses. There are only so many URLs out there—variants of just a few dozen well-known domain name extensions, from your plain-vanilla .com to the comparatively edgy .fm. The domains are administered by different entities, each with their own rules. And now, a new land rush is underway. ICANN will soon release more than 1,000 "top level domains," or TLDs, as the letters to the right of the dot are known. The organization is currently considering some 1,700 applications for new TLDs, from .app to .zulu, which would-be registries figure they can sell. It amounts to a radical reimagining of the online aesthetic, wherein websites can be whatever they want to be, from beginning to end. That's a scary prospect for the owners of the massive incumbents—like industry titan Verisign, which owns .com and .net. 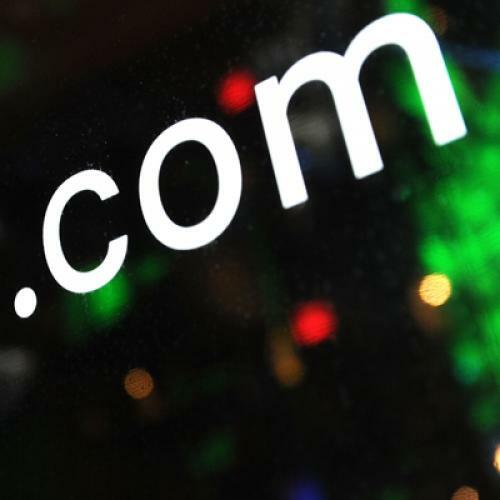 But people who control smaller TLDs, particularly the obscure two-letter ones assigned to countries, stand to benefit: The end of .com hegemony means the concomitant suspicion of lesser TLDs—your .biz or .info—could fade as well. "We're looking forward, in a way, to the new environment," says Nigel Roberts, who's in charge of the .gg and .je domains belonging to the British Channel Isles, Guernsey and Jersey. The tiny jurisdictions have embarked on a new marketing campaign—based around .je's significance as a French and Dutch pronoun, and .gg's meaning in China as an abbreviation for "big brother"—and just need people to realize alternatives exist. "Even the publicity so far, it's made the people at home and abroad used to the idea that .com is not the only fruit." HERE'S HOW THE domain industry is set up: There are registries, to which ICANN has granted the rights to administer existing domains. Then there are about 1,000 sanctioned registrars, which serve as the middlemen between registries and consumers. The registrars make most of their money off common domains like .com, .org, and .net, which ride on their status as universally recognizable addresses. There are also scores of country-based TLDs—from Andorra’s .ad to Zimbabwe’s .zw—which often have little currency beyond their borders, to the chagrin of folks who’d like to make money off them. Other countries that lucked into monetizable names: Montenegro and Colombia. Montenegro received the country code .me soon after becoming independent in 2006, and quickly realized the nature of its windfall: An extension that could be marketed as a way to brand your personality online. Over five years, they’ve reached 650,000 registrations and generated 13.2 million euros in profit for Montenegro. Colombia has known that it was sitting on a goldmine with .co since 2001. In 2009, the company finally selected to monetize the name picked a target demographic that fit their own market position: Tech startups, which see themselves as doing battle with large incumbents, and are generally more willing to try new things. The Colombians found their first batch of baby companies at South by Southwest in 2010, and quickly started building relationships, taking early .co adopters out to dinner in different cities. The next year, they took 20 of their biggest fans and treated them like VIPs, getting them media interviews and invitations to parties. Generic TLDs like .com and .org are bound by ICANN rules that say they can only increase their prices by a small percentage every year, so they need to sell a lot to make money. But because Colombia can charge whatever it wants, it’s banking on its cool factor to make people pay a premium price—from $60 for a basic URL up to $2 million for super-hip single-letter domains like g.co and o.co. The diverse and manifold future means that the incumbents, who’ve so far counted on a steady revenue stream from their established TLDs, will need to diversify. Verisign isn’t waiting around to get outsold—it’s applied for 14 new TLDs and provides back-end support for 220 more. And Afilias, a smaller registry that administers brand names like .org, is asking for 26 new TLDs, including .casino and .organic. Still, Afilias chief marketing officer Roland LaPlante isn’t optimistic that they’ll generate huge amounts of revenue very quickly. They’ve been selling .info at bargain basement prices since 2001, for example, and still only have a tiny slice of the 250 million-strong domain name universe. Luckily for him, there are six or seven billion people in the world, more and more of whom are willing to pay for their own piece of the web.